Mainz - Yunus Malli stole the show with a brilliant hat-trick as 1. FSV Mainz 05 ran out 3-1 winners against TSG 1899 Hoffenheim at the Coface Arena on Friday night. 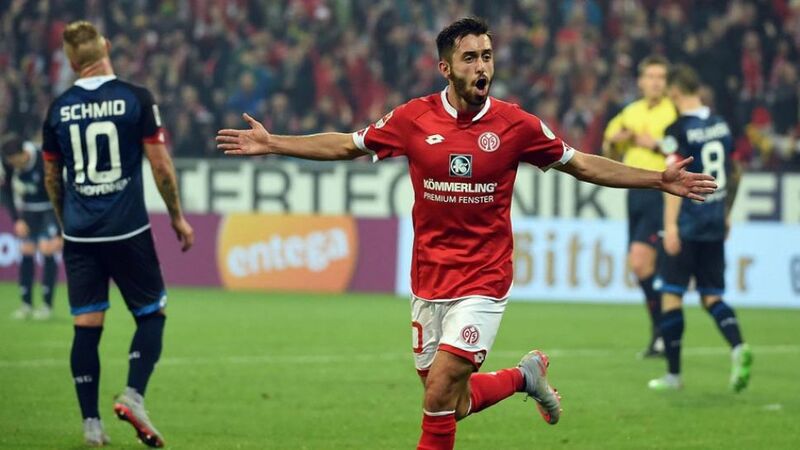 In the form of his life at present, with five goals to his name already this season, Yunus Malli was again Mainz's inspiration. His first Bundesliga hat-trick was richly deserved; the German U-21 international's direct running and eye for goal were the difference between the sides in an entertaining Friday night clash at the Coface Arena. While there was joy for Malli and Mainz, it was another Matchday of desperation, disappointment and frustration for a Hoffenheim side who have so far failed to click and are winless this campaign. With Borussia Dortmund the visitors in midweek, Markus Gisdol will have to find the right formula sooner rather than later. No Mainz player has ever scored more than Malli's five goals after the five opening games of the season. Malli not only scored his first Bundesliga hat-trick, but he has now also netted each of his side's last five goals. Hoffenheim opened the scoring with their first shot of the game. Mainz have hit the woodwork six times this season - more than any other team.